This week James and Courtney talk about what didn’t go so well and what went well in 2017 for Team TCU. We want to send a very special thank you to our audience and all our listeners. 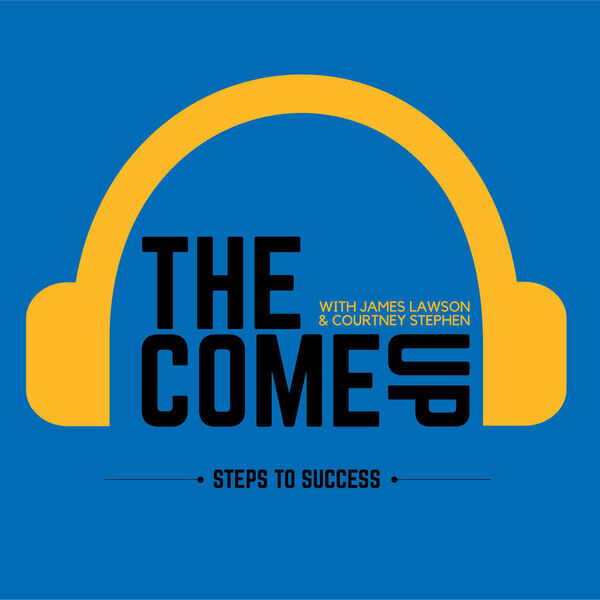 The Come Up: Steps to Success Podcast started on June 23rd, 2017. In 6 months were able to hit 2027+ downloads. We owe that first-year success to everyone that listened and subscribed to our podcast. Our first year was full of ups and downs. Lessons that we could only learn by committing to this process of podcasting. One of the major lessons we learned was that consistency is the key to growth. We shared with you our mistakes when launching TCU. Our continuous growth led us to upgrade our microphones, and because of our increasing commitment, we "paid to play" by purchasing professional hosting to deliver longer episodes and better-embedded players. Bringing on ambitious guests that included authors, athletes, artists, and entrepreneurs. We are going to provide more valuable content for you in 2018. Starting with TCU Quick Wins. We are also going to be bringing a more Star-Studded line up of interviews which includes MORE Authors, MORE Athletes, MORE ARTIST, MORE professionals and MORE entrepreneurs, to share their tools, resources, and lessons that they learned on their journey. We need your help spreading the word. We want to hit 20,000 downloads in 2018. To do that we need you to share your favorite episode with a friend, a family member, or a colleague. Help us reach our goal by subscribing to TCU!